Credit cards can be extremely useful when it comes to allowing us the opportunity to borrow money at no cost. From earning cashback and gaining additional protection on the things you purchase, and when utilised in the right way, credit cards can offer rewards in terms of improving your ability to manage your finances successfully. The trouble comes when you are less disciplined with your schedule and end up accumulating debts that begin becoming harder to pay off. You need to be really careful to pay off your credit card quickly. 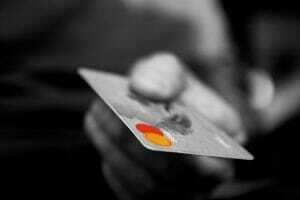 Unlike a short term loan or payday loan which have fixed repayments, a credit card balance can stay forever. Most minimum payments are only just enough to cover interest which means you aren’t making a dent in your balance. For our 5 tips to help you pay off your credit card, watch our video and read on. Another thing you can look towards is consolidating your loans by combining your existing debts so that you can focus on making one payment each month. Our flexible loans are one of the ways in which you can look towards achieving this. Should you choose this method to help you pay off your credit card, be sure to remain mindful of the fact that you need to avoid adding more and more debt onto that which you have just consolidated. Budgeting is one of the most successful ways in which you can manage your finances on a day to day basis but becomes all the more important to focus on when it comes to assisting you with paying off your credit card debts. Look at your credit card statement and categorise which areas you spend most of your money on and then look towards cutting out costs that are not a necessity. The money that you would have previously spent but you are now cutting back on can then be put towards paying off your debts. This will also work towards helping you develop long-standing spending habits that could prevent you from falling into debt again in the future. In order to ensure that you do not ever miss out on making crucial credit card repayments it would be ideal to set up direct debits and automate your repayments so that you do not need to think about paying them manually. This will also protect you from having to pay late repayment fees too! Credit card providers offer minimum monthly repayments set at low levels to ensure that things such as charges, interest and fees are always covered. If you are looking to really make progress when it comes to paying off your credit card bills each month you should be looking towards trying to repay more than the allocated minimum amount. Instead, aim to pay the full bill off each month so that you do not have to pay additional interest.